There is a Chinese saying that loosely translates to “people mountain, people sea“, and if you’ve ever visited Beijing or Shanghai then you’ll understand exactly what this looks like. With a population of nearly 1.5 billion people and more than 100 cities with a population greater than 1 million, it’s not always easy to avoid the smog, get away from the crowds and get off the (very) beaten path. That’s where Alila Anji comes in – a hidden gem surrounded by a pristine lake and 60,000 hectares of dense bamboo groves, and located just a few hours away from Shanghai and Hangzhou by car. Alila (meaning “surprise” in Sanskrit) operates a number of boutique luxury hotels across Asia and is known for their commitment to sustainable travel – their hotels are designed using strict environmental and design standards, enabling their properties to blend effortlessly into the surroundings. 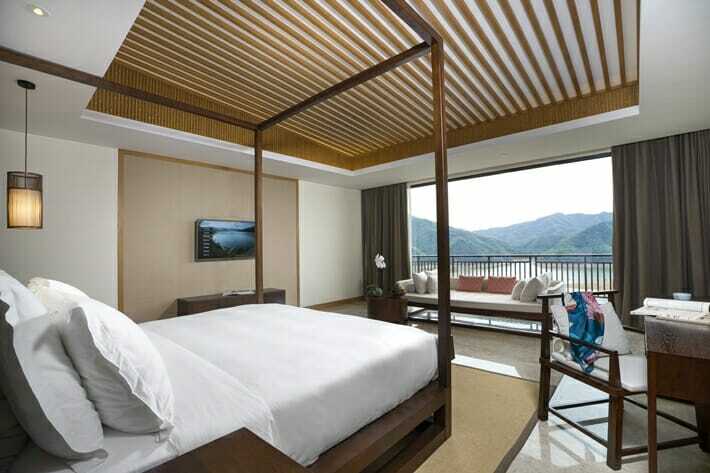 Alila Anji is the company’s first property in China (they recently opened a second in Yangshuo) and is very aptly situated in one of the greenest cities in the world, Anji. 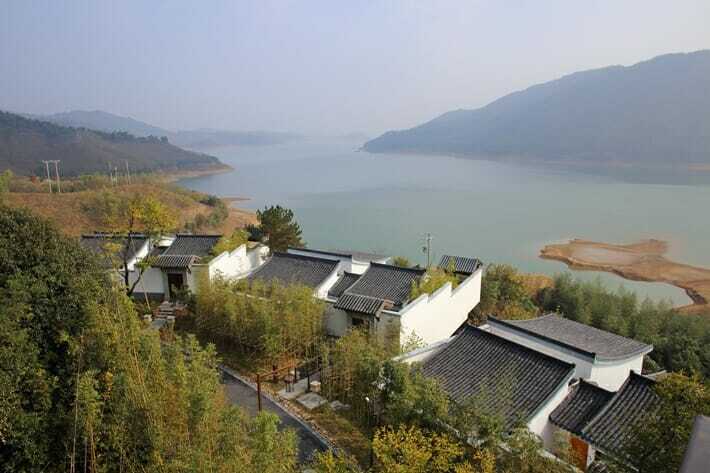 Anji is also China’s pilot “National Ecological County”, placing a heavy emphasis on sustainable and green construction & development as well as growing pollution-free produce in the region. Oh, and did I mention that Anji was also a filming location for the Oscar-winning film, “Crouching Tiger, Hidden Dragon“? Back in the day, I used to travel to China almost on a weekly basis for my corporate job, but never had the opportunity to see any of the sights – I shuffled between meeting rooms, event venues, office buildings and my hotel room. Boring! When the opportunity arose to explore Anji and stay at Alila Anji, you can bet that it took me all of 0.02 seconds to decide that I had to experience it firsthand. With so much going for it, Anji is extremely underrated and I’m surprised that Anji isn’t more of a tourism hotspot. If you are looking for a place to unwind and experience the tranquility of nature and eco-luxury at its best, then read on for my experience at the Alila Anji! 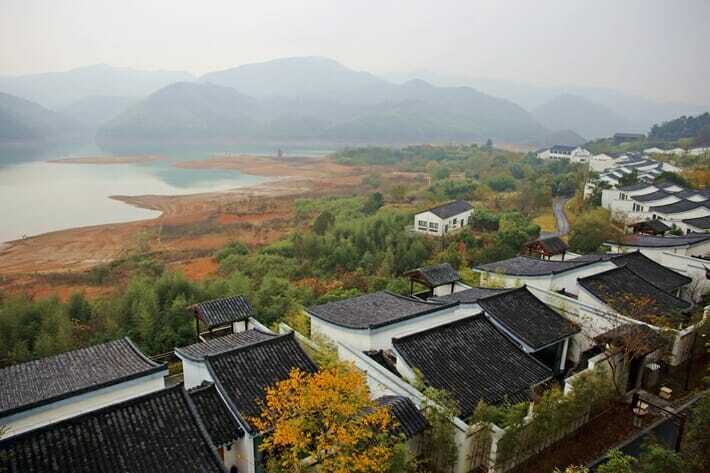 Alila Anji is designed to resemble a traditional Chinese village and offers a total of 74 rooms and villas across 4 different categories – regular and upper lake view rooms as well as hill view and lake view villas. To get between the rooms and main building (which houses the lobby, spa, restaurants and fitness centre) you just dial 0 and ask for a golf buggy to pick you up! The rooms are extremely spacious (the lake view rooms come in at nearly 70 square metres and the villas max out at nearly double that), and the decor is warm and understated, using plenty of native woods, bamboo and stone to create a peaceful sanctuary. The rooms open out to a private outdoor terrace/balcony so you can sip on a hot cup of Anji white tea and take in the sweeping views below. As we visited Anji during November, the weather was on the cooler side and I was in desperate need of a hot shower to warm up. One of my absolute pet peeves at hotels is shoddy water pressure, so imagine how delighted I was to step into the high pressure rain shower at Alila Anji. The rain shower took all of 2 seconds to heat up (I like my showers scalding hot), and I basically had to be dragged out of there. If you are staying in one of the villas you will also have access to a full bathtub. Bliss. The usual amenities can be found (and then some) – TV, mini bar with coffee and tea, in-room safe and toiletries, bluetooth docking station and wifi. 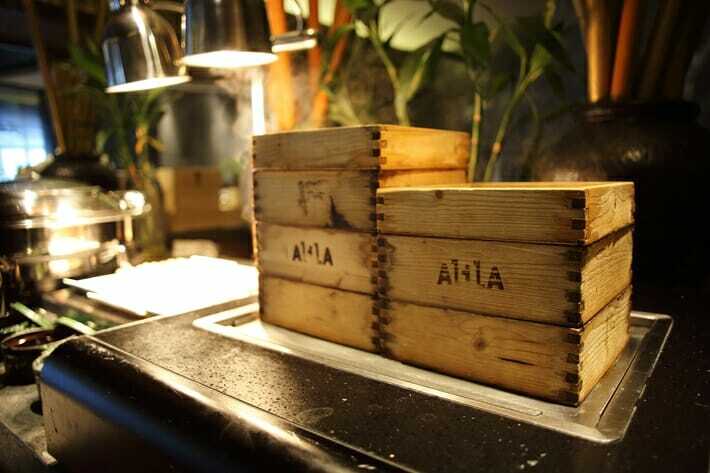 Alila Anji also provides “his and hers” bath gels, shampoos and conditioners from their signature “Alila Living” range (a light mandarin and lemongrass scent), as well as natural handmade volcanic soap. If that isn’t fancy I don’t know what is! The day spa offers seven treatment rooms, five of which are designed for couples, and two of which are for individual treatments. I tried the Balinese massage and it was heavenly, I even found myself drooling into the decorative bowl on the ground when I was face down and slowly melted into the massage table. There’s also a heated indoor swimming pool, tai chi pavilion and scheduled tai chi classes, a small but well equipped gym, mahjong rooms, library and children’s club. I had the opportunity to join in on one of the morning tai chi classes and let me tell you, it’s nothing like Yoga and it is not as easy as it looks. One thing to note is that the classes are taught in Mandarin, so it can be difficult to follow along and understand the intricacies of all of the verbal cues – there are a lot of cues involving how to shift your weight and where to place your gaze, so that is something to be aware of if you’re planning on attending a class. Alila Anji has two restaurants: Lake View restaurant serves a fantastic breakfast buffet with plenty of Asian and Western options, as well as a-la-carte dishes ranging from burgers and pasta to stir fried noodles and curry. 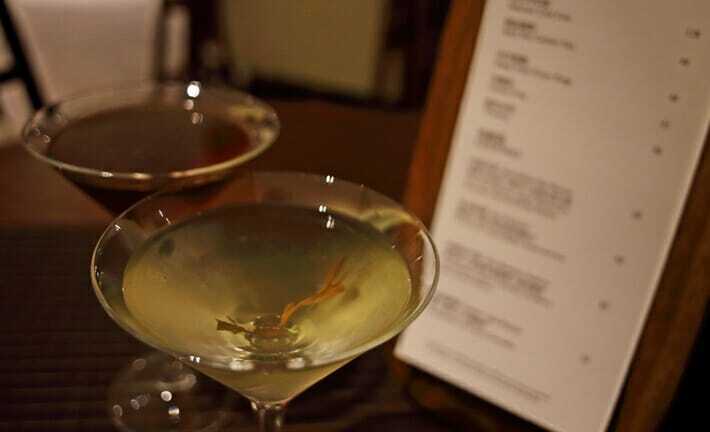 The bar area also serves creative cocktails such as the white tea martini with gin and local bamboo liquor (heads up: it is STRONG), and is the perfect spot for a quiet drink overlooking the lake. 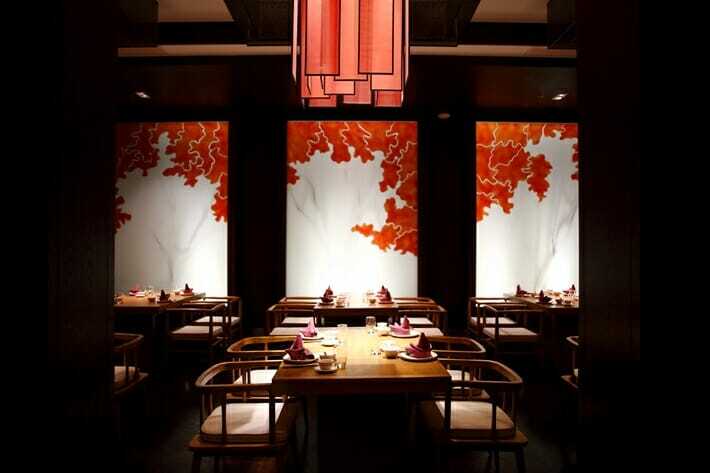 The Chinese restaurant (aptly named “Hidden Dragon”) serves extremely fresh and locally produced dishes including bamboo shoots in spring and chestnuts in autumn. 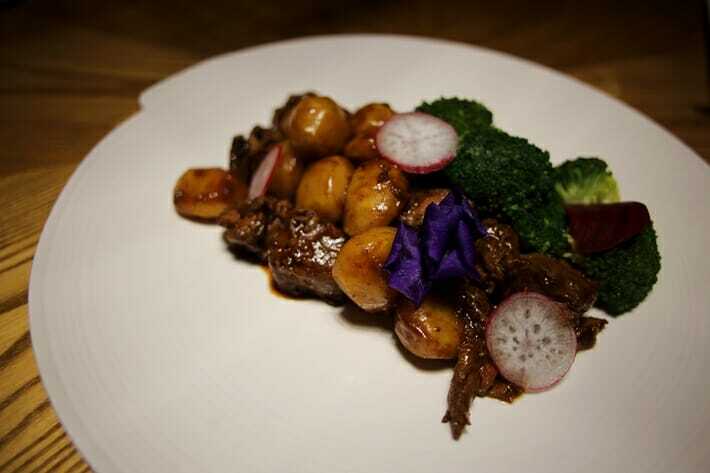 Be sure to try the pepper beef with chestnuts, handmade taro flour noodles and any dish with bamboo shoots (the local specialty). If you can handle some heat, their chili sauce is out of this world! Click here to book your stay at Alila Anji! One of the best things about Alila Anji is that you can easily relax and enjoy a much slower pace of life, or explore the surroundings and keep yourself busy with a plethora of activities. 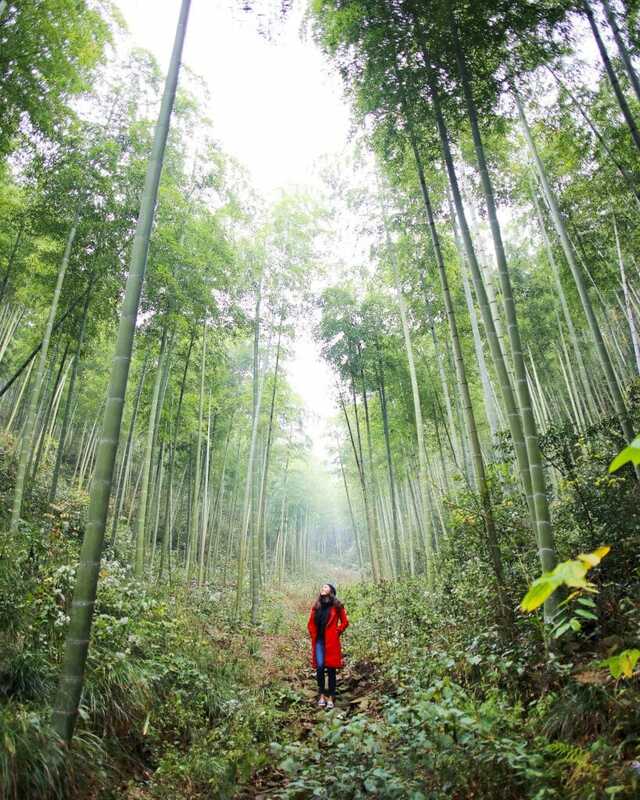 There are many sights to check out within the vicinity of the resort, including the Anji Bamboo Museum Garden as well as one of China’s largest bamboo forests (where some martial arts fight scenes in “Crouching Tiger, Hidden Dragon” were filmed) – Da Zhu Hai (literally, “big sea of bamboo“). However, if you don’t want to sit in a car for an hour and pay an entrance fee to see a bamboo grove just take an easy stroll outside the gates of Alila Anji and you will find several unnamed (and tourist-free) bamboo groves. If you’ve ever visited Arashiyama Bamboo Forest in Kyoto, you will absolutely love it here as there are zero crowds. When we visited this nearby bamboo grove we had it all to ourselves, and best of all – there is no entry fee! 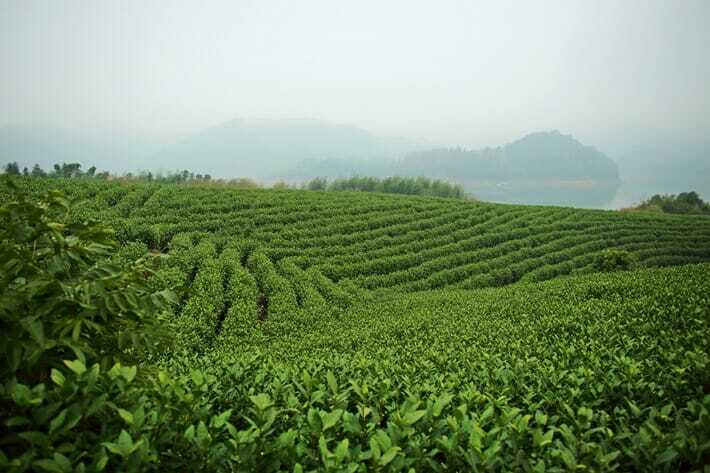 You can also rent a mountain bike and explore the countryside, or ride over to a nearby tea plantation where you can pick white tea (in March and April) and learn the process of preparing, packing and roasting the tea. Later on during the year in June to August, adrenaline junkies can make the most of the summer and go river rafting on Tianmu Mountain, or pick chestnuts in September and October. As winter sets in guests can dig for bamboo shoots under the earth and try this local delicacy (best served cold as an appetizer). Alternatively, you can also do a day trip to Hangzhou to explore the picturesque West Lake and learn about the legend behind the Leifeng Pagoda. We did not get a chance to visit the Hidden Dragon Waterfall (website in Chinese only) (about an hour from the hotel), but it looks stunning from photos. Some activities are not included in the room rates – check the activity brochure for current rates and details. Anji can easily be reached from Shanghai, Hangzhou or Suzhou, and these airports receive many international inbound flights every day. 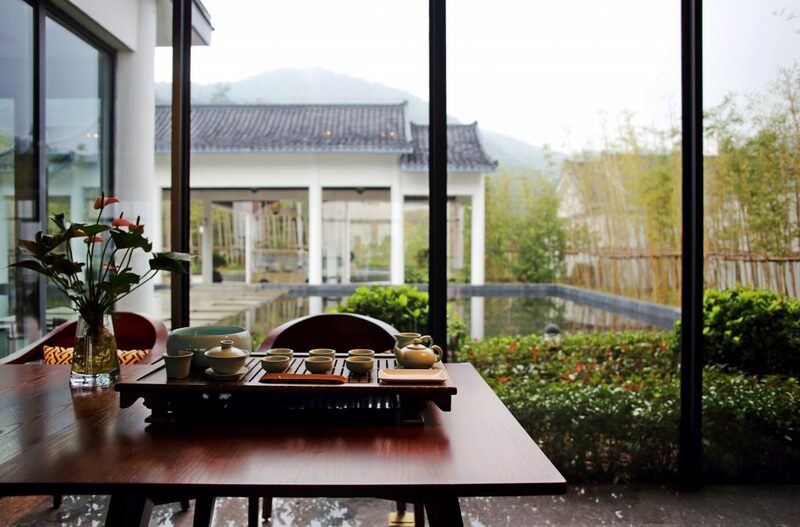 The best way to get there is to ask the hotel to organize a private car – Alila Anji is approximately 4 hours away from Shanghai by car, 3 hours from Suzhou and 2 hours from Hangzhou. Although there is no train station in Anji, many express buses travel between Hangzhou’s north bus station/Hangzhou International Airport and Anji every day. 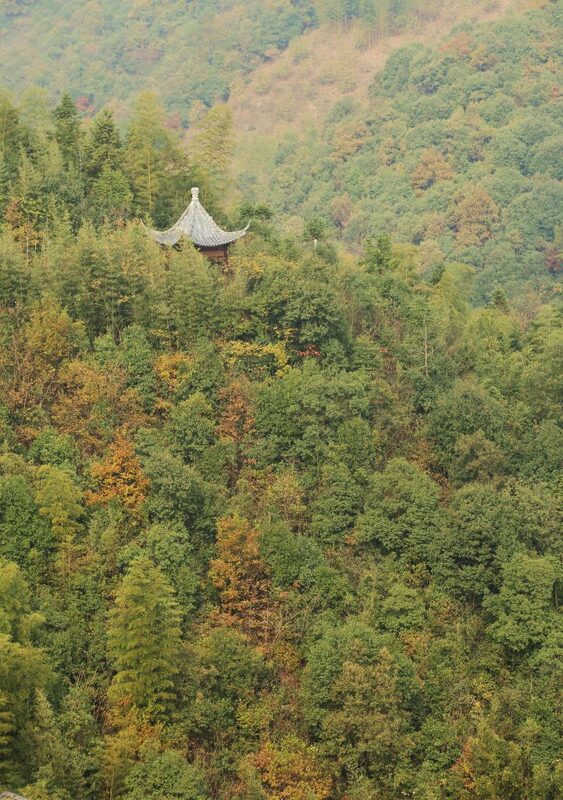 There aren’t a lot of places in China that you can describe as “serene” and “peaceful”, but Anji is one of them. 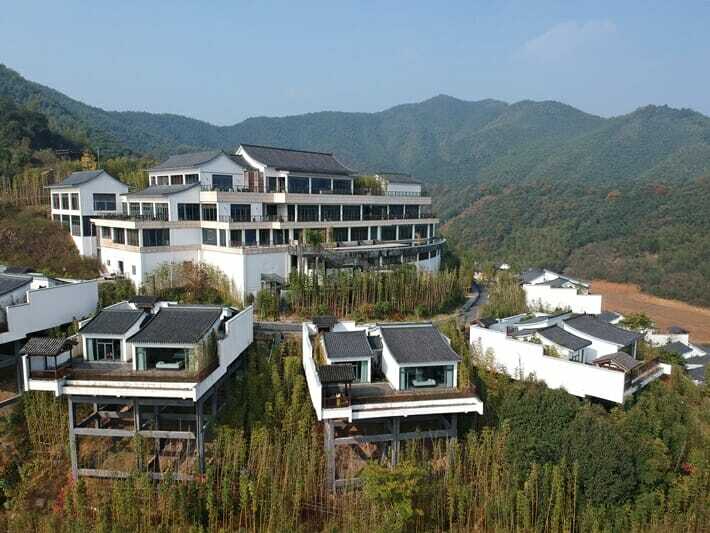 If you want to see another side to China and get off the beaten track, spend a few days at Alila Anji to immerse yourself in boundless greenery and get spoiled by their attentive and hospitable staff. The best time of year to visit is during the spring or autumn, when the colours of the surroundings really come to life – just make sure you avoid traveling during the first week of October as it is a peak travel season in China during that time. This region tends to be cooler than Hangzhou and Shanghai, so make sure you pack appropriately and bring extra layers. 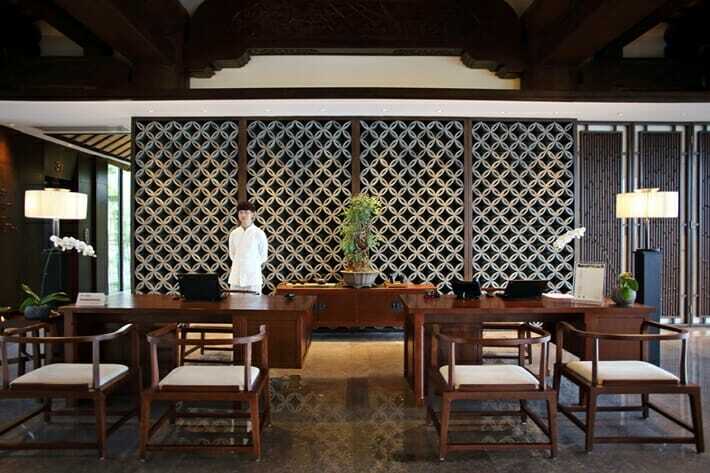 Boutique travel (especially boutique eco-luxury travel), is on the up and up in China, and Alila Hotels is paving the way to create more upscale and extraordinary travel experiences in the country. There’s a good reason why Alila Anji won the Best Boutique Hotel award in 2017 from Travel + Leisure China! Ready to break away from the cookie-cutter hotel experience? Click here to book your stay at Alila Anji! Interested in reading more boutique and luxury hotel reviews? Click here for more boutique travel content! My stay at Alila Anji was sponsored; however, no compensation was received for this review, and as always, the opinions on Yogawinetravel.com are (and always will be) my own! I only recommend products, services and hotels that I have had positive personal experiences with. Really enjoyed reading about this beautiful place. 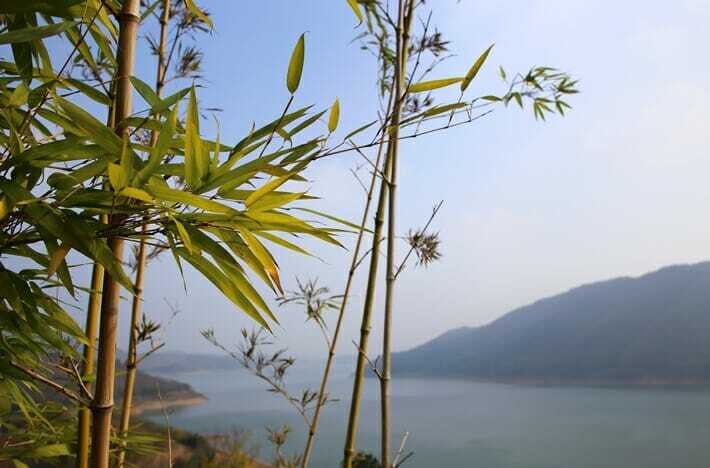 The lake views are stunning and I’d love to stroll in the bamboo groves and go tea picking. The hotel seems to offer peace and serenity as well as plenty of activities too. 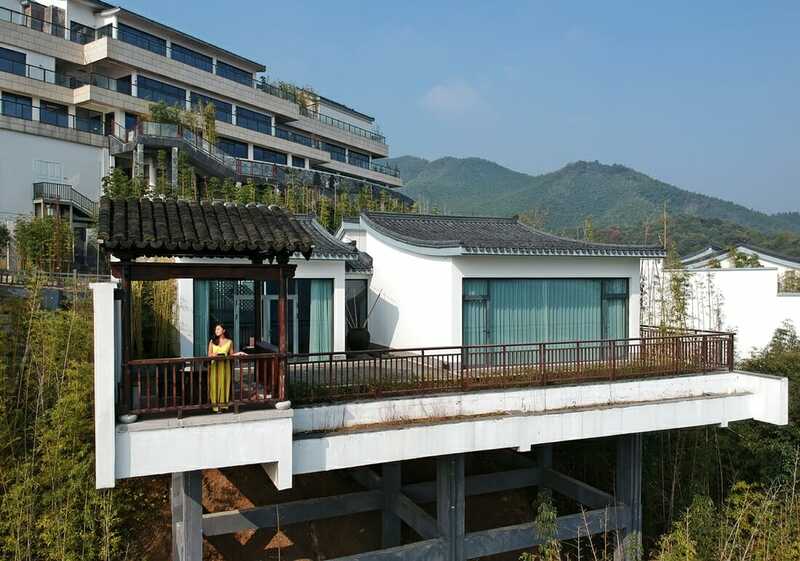 I’ve never been to China and now I’ve added this hotel to my to-do list! Most people don’t make it beyond Beijing and Shanghai, but Anji is one place I would DEFINITELY recommend that travelers to China add to their list! We haven’t been to China before but it is definitely on my list. This place looks absolutely incredible and so peaceful. Thank you for sharing your lovely story! I hope you get to visit this part of China if you make it over, Jenna! Wow, great location and lovely views! It seems that you found the perfect place to enjoy Shangai’s surroundings in style, you sold me with this hotel! 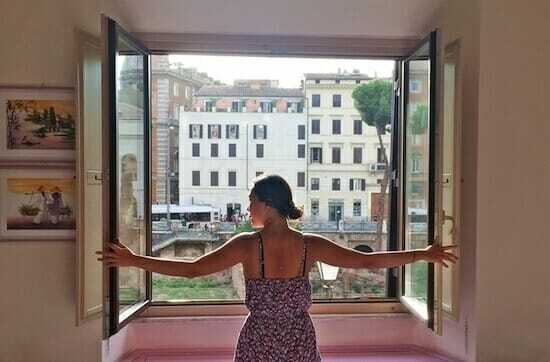 The views are just out of this world, Elisa! Sounds wonderful. I have not visited China so thanks for the great information and nudge to travel somewhere different. Thanks for reading this, Elaine! Sometimes I forget that there are places to visit in China beyond Beijing and Shanghai! Wow! Nice stay you have there. Waking up to the lakeview! The peace and serenity. Thanks for Sharing! It was an amazing view to open my eyes to in the morning! I love love love rain showers and so I get your love for them. The idea of a mahjong table and spa table is blissful, and if I go to China I would definitely consider this place for a visit. Haha I’m so glad you understand my love of rain showers! I love village-type accommodations like this! Alila Anji does sounds like the perfect getaway for a relaxing staycation! 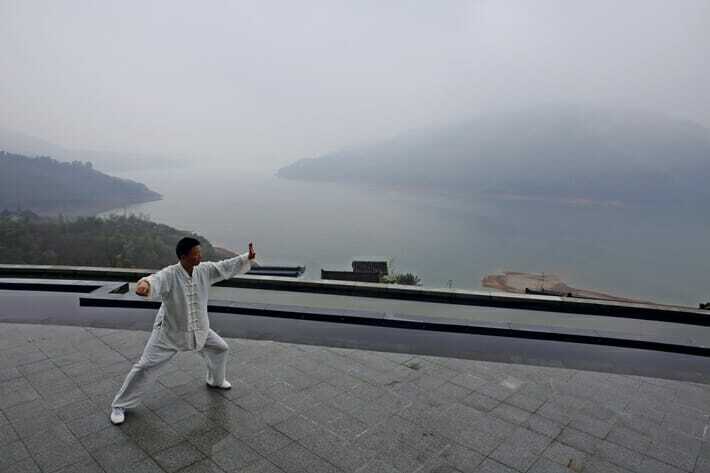 The views you had are gorgeous and especially those of the lake.. Was the Tai Chi classes conducted outdoors? The bamboo groves and the tea plantation looks like a pretty great place to check out too! The classes are conducted outdoors when the weather is nice, but if it’s too cold they host the classes in a heated yoga room! Visiting a tea plantation is definitely on my bucket list! I never realized it until I saw how much it looked like a jungle. I’m also slightly obsessed with tea, so that could also be a reason for why I need to visit. Best of luck in your travels! Your description of Anji and the hotel inspire me to hop on a plane tomorrow to visit! I really hope you get to see this part of the world! The place definitely looks like a paradise! I’ve been to China just once and as you say, on work! Hope I’ll get to visit again just to explore or just relax in a place like this. The view is spectacular. I’d totally love to sip some white tea! I hope you get to go back for a vacation! White tea has tons of caffeine which is great for coffee lovers. Hahhahahaa oh my goshhhhh my dad loves saying the phrase “people mountain, people sea” – in English too – whenever we’re in crowds. I would’ve never gussed this was in China and just within hours from Shanghai or Hangzhou! 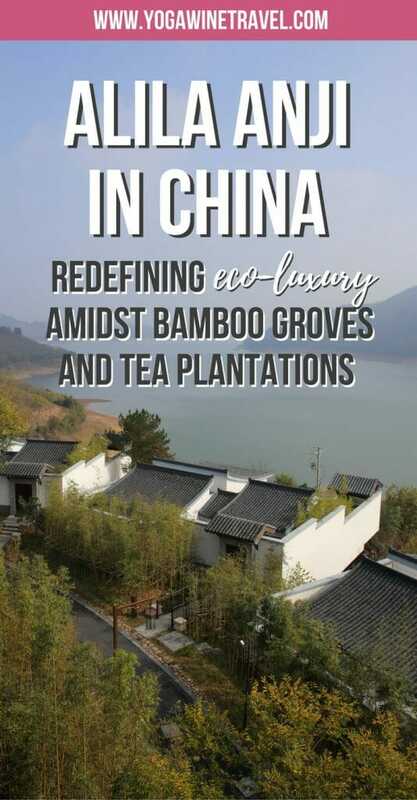 It looks like such a beautiful destination to for a weekend escape out the bustling city and I’m for sure adding ANji Bamboo Museum Garden to my bucket list! If I had to pick one thing…I would rent that mountain bike and explore the countryside, or visit the white tea plantation. Such a stunning hotel and that view from the balcony! So refreshing and relaxing at the same time. I think you’d love it, Punita! I hope you get to see this place in person soon. WOW this place is stunning!! I’m hoping to make it to China next year and am bookmarking this 🙂 Alila Anji looks like a dream, totally my kinda getaway. I really love your writing, thanks so much for the interesting & informative notes!! Thanks so much for taking the time to read this, Jaleh! Where in China are you headed? Wow, I’ve never heard of Alila Anji before, but I love the colours! Looks like a beautiful place, thanks for putting this on the map for me. To be very honest, I hadn’t considered exploring China beyond the major cities before this trip, but wow did it pay off! Very nice lodge! Its contemporary, minimalist architecture compliments the natural surroundings. But what Sheila and I will do there will be to hike that bamboo groove. So amazing! 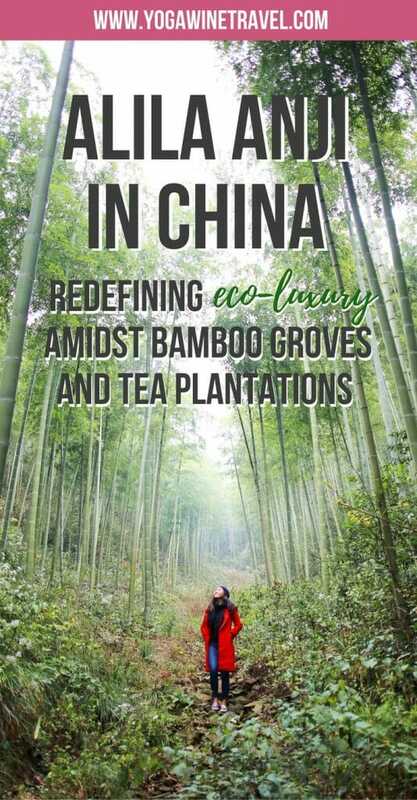 We can almost feel Chow Yun Fat balancing delicately on top of those bamboo stems! How exciting! Where in Asia are you hoping to visit?